“Our Macro-region is made up of 70 million people and 8 Countries which are extremely rich in natural beauty and diversity, history and culture. Although our roots and economic indicators are mostly different, this is our road to a well developed, competitive and vital Region. The economy is a prerequisite for the development of Cities and Universities, and without educational staff the economy could not turn. 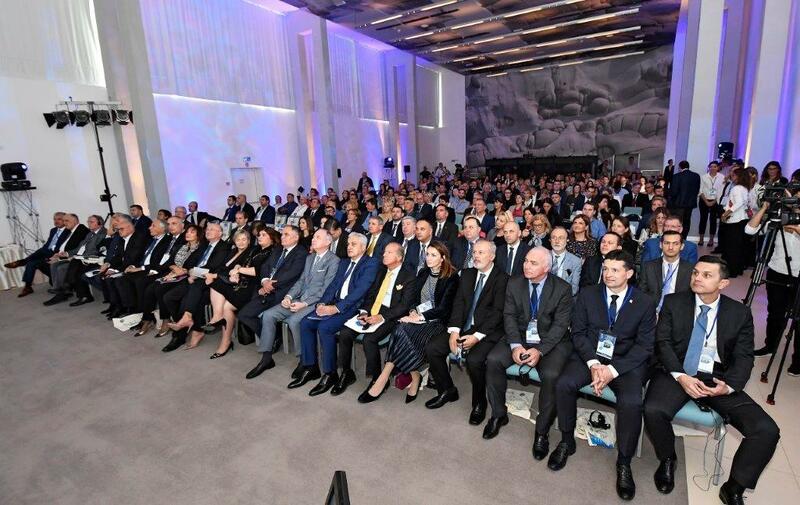 Economics and education are both a condition for the existence of Cities“, said the president of the Forum of the Adriatic and Ionian Chambers of Commerce, Mirjana Cagalj, opening the First Joint Conference of the Adriatic and Ionian Chambers of Commerce, Cities, and Universities. The conference brought together more than 120 Institutions from the 3 civil society networks in the Adriatic-Ionian Region – Chambers of Commerce, Cities and Universities – with the aim of strengthening connectivity networks and creating greater prosperity in the Region, through work on areas of mutual interest identified in the EU Strategy for the Adriatic and Ionian Region (EUSAIR). Large participation was also registered at the Thematic Workgroups, held in the afternoon of the second day: delegates of economic bodies, universities and municipal administrations were divided into the seven Workgroups on Blue Growth, Connecting the Region, Environmental Quality and Agriculture, Sustainable Tourism, in line with the EUSAIR pillars, in addition with Women’s Entrepreneurship , Social Challenges and Economic Analysis, consistent with the cross-cutting priorities of the Strategy. For the first time the Workgroups were coordinated jointly by AIC Forum and Uniadrion, and with the support of Split Chamber of Commerce. This first Joint Annual Conference amis to represent an important step forward in building and consolidating the relationships between civil society, local, regional, national and European institutions. The Mayor of the City of Split, representative of the Adriatic and Ionian Cities Forum, Andro Krstulović Opara, said that the conference, which brings together a large number of representatives of the Adriatic-Ionian Region in one place, aims to address arguments of strategic importance for the Macro-region, with the final goal of better quality of life for citizens. “We look to the past, but we will focus on the future of Cities and Universities. So far, the most intense cooperation among the Countries in the Macro-region has been the transfer of people and knowledge“, Opara declared. Then the stage was left to the Prefect of Ancona, Antonio D’Acunto, and Blaženko Boban, Prefect of Split-Dalmatia County. He asserted that it is in the interest of everyone in the Region to reconcile the expansion of tourism with sustainability, especially in the area of cultural heritage protection: “This is the theme from which to start. The second segment of action must be environmental protection, and in particular of a very valuable resource for us, such as the sea“, he said. “The idea of movement and cooperation, regions and people in movement is invaluable, with the collaboration of scientists, students and businessmen. With this theme, we must not forget the challenges that are not unique to this part of Europe alone, but throughout all Europe and the world, and these are the themes of migration and security” said the Emissary of the President of the Republic of Croatia, Mate Granic. Ambassador Pigliapoco, Senior Advisor of the Permanent Secretariat of the Adriatic and Ionian Initiative, after thanking for the invitation on the side of the AII Montenegrin Chairmanship, expressed his appreciation for the full commitment of AII Chambers of Commerce, Cities and Universities to play a crucial role in the implementation of the EUSAIR Strategy. 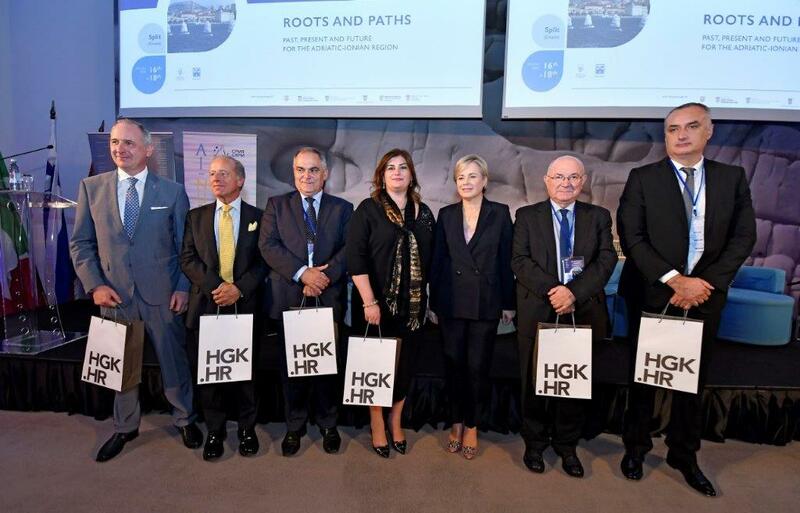 He further stressed the AII role as “Advocate of Civil Society Organizations” within the macroregional process, especially by opening Round Tables to the participation of stakeholders and civil society as well as by coordinating and cooperating with the three Fora (Cities, Chambers, Universities) in line with the subsidiarity principle, which is at the core of the EUSAIR. He also assured that the Permanent Secretariat will continue to be pivotal in its traditional connecting role between Governments, regional actors and civil society Fora and networks that have been, up to today, essential in the preparation and implementation phase of the macroregional mechanism and will continue to be the same all throughout the year of the Montenegrin Chairmanship. The First Panel dedicated to all forms of mobility of people (business, students, tourists) was opened by Dubravka Šuica, Member of the European Parliament, as keynote speaker. The relator addressed the issue of demography and the undesirable aspect of mobility, through which Croatia is losing primarily young people, noting that this is a key recovery of the Croatian economy. 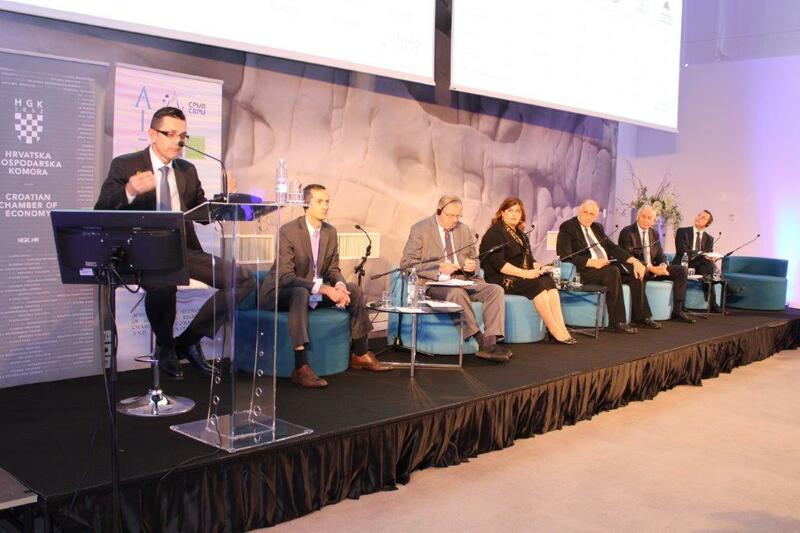 “The cooperation of the countries in the Region, for example in the construction of the Adriatic-Ionian Corridor, is a key linkage as third pillar of the Adriatic-Ionian strategy“, Šuica concluded. Martin O’Connor, Chief Executive Officer of Kylinprime Grupa observed as global mobility is a phenomenon that is not new but is increasing and has economic and social implications. 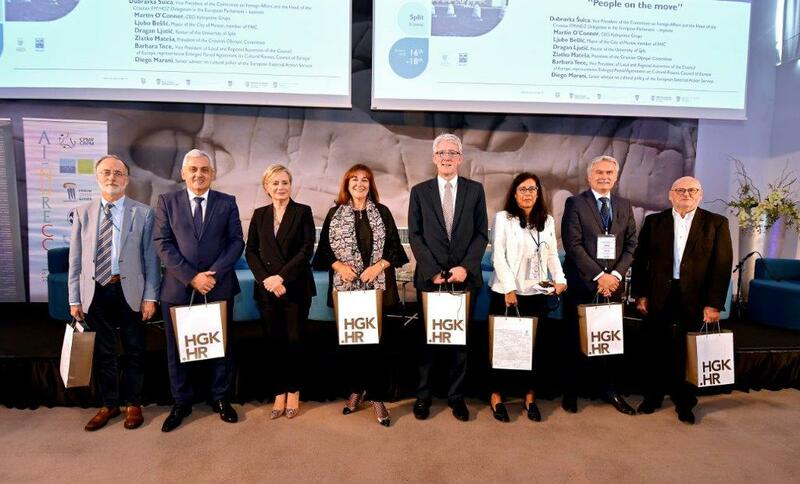 “It is already proved that this movement drives global productivity, brings innovation and entrepreneurship, connects cultures (in fact it is driving the creation of new global citizens ), facilitates trade, technology transfer, and attracts investment. Managed properly I believe, and say with no hesitation whatsoever – that it will create a better world. But it needs management to ensure integration – economic, social and cultural – and that is why Fora such as these can play such an important role, because together we need to change the narrative in order to realise the benefits. It needs to be addressed collectively by many stakeholders and various partnerships, private and public”. In a recent press interview in the Global Times, Mr. O’Connor said “The world cannot change overnight, the business world, governments and appropriate bodies and councils should be pulling together and investing in the development of our future citizens”. He reiterated this point that day. Then it was time for Diego Marani to take the floor. The senior advisor on cultural policy, European External Action Service, presented the EU cultural policy in the external relations, in particular with reference to its founding document: the Communication “Towards an EU strategy in international cultural relations”. This documents sets out the general lines of the policy which introduces a new paradigm in international cultural relations: the people-to-people dimension. Until now the EU has developed its cultural policy mainly following a showcasing approach where EU national cultural products were promoted in our network of Delegations. With this new paradigm the EU wants to engage directly with civil society not only in the promotion of EU cultures but in process of co-production, exchanges and co-creation, encouraging cooperation between cultural operators from the EU and our partner countries. In this framework mobility is one of the key elements. In the perspective of the EU external action service, mobility provides opportunities for artists and cultural operators to take part to exchange programs in residences for artists. This is particular important in the framework of inter-cultural dialogue but also as a tool to spread knowledge and best practices. It is also an engine for economic growth, as it fosters the creative industries sector through the spreading of knowledge and of economic partnership. The EU already supports different networks world-wide with its programmes, in particular the Creative Europe programme. With this new strategy the EU intends to expand already existing networks and to create new ones. Tourism and students are fully part of the reasoning in consideration of the growing importance of cultural tourism and university exchange programmes. Barbara Toce, vice-president of the Congress of Local and Regional Authorities of the Council of Europe, representing the steering committee of the “Routes4u” program – Council of Europe (General Directorate of Democracy) interevened presenting the Cultural Routes of the Council of Europe, which promote the transnational dimension of European heritage, cultural cooperation and sustainable tourism. They contribute to the economic development of destinations, improving territorial services and promoting it internationally. These participatory networks represent exemplary models for intercultural dialogue and the creation of a shared European identity. There are also models of decentralization in asset management, thanks to the active role of local communities. Considering the rise in world tourists’ arrivals (which will reach 1.8 billion in 2030 according to World Tourism Organization data), climate change and other phenomena that affect the daily life of the European traveler, there is no doubt that the Council of Europe’s Cultural Itineraries represent an alternative (and winning) choice, working as promoters of sustainable, economic, environmental and socio-cultural development. The first panel discussion on the topic “People on the move” was also attended by Zlatko Mateša, President of the Croatian Olympic Committee, who talked about mobility in sports and importance and contribution of sports for the economy and society as a whole. The rector of the University of Split, prof. Dragan Ljutic, discussed mobility as well as the challenges and opportunities it brings. Special emphasis has been placed on the movement of labor force, students and tourists, and the impact of these developments on the structure and characteristics of working population, GDP, productivity, employment and other aspects of economic and social life. The mobility of students and staff, as pointed out by Ljutić, is an important tool in the process of internationalization and at achieving international recognition of the university. Thus, during the last academic year, the University of Split through Erasmus+ and other mobility programs hosted about 250 students and 150 teachers and staff members, following trends in the internationalization of higher education and funding schemes for international cooperation for the benefit of students and employees. The second Panel, on opportunities and trends in financing trasnport and tourism, with a special focus on the digitalization, was opened by the keynote speaker Tomislav Rados, Vice-president of the Croatian Chamber of Economy. Mr. Rados’s presentation is here available. 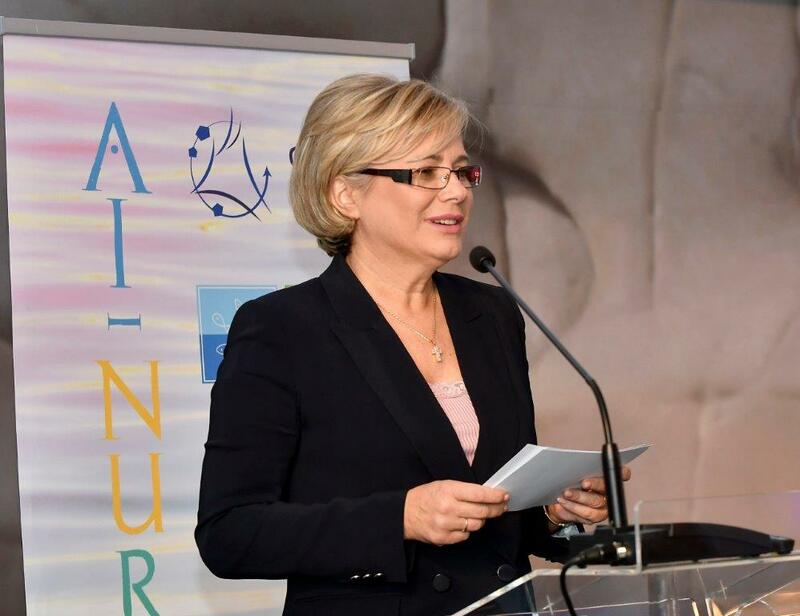 The Croatian Minister of Regional Development and EU Funds, Gabrijela Žalac, looked at the successes of the previous three presidencies of Croatia over the Adriatic-Ionian Initiative and presented the areas with the greatest potential in the context of EU funds. “In the case of major infrastructure projects in the transport and energy sectors, such regional cooperation is important. EU macro-regional strategies are a key for a better and more efficient use of European funds“said Minister Žalac, highlighting the perspective of transport connections at the Adriatic-Ionian and Danube regions as well as the importance of sustainable development and environmental protection. After her, the Deputy Minister of Communications and Transport of Bosnia and Herzegovina, Saša Dalipagić, intervened speaking about the activities that should be undertaken in the forthcoming period regarding the Adriatic – Ionian highway route. The Adriatic – Ionian highway for Bosnia and Herzegovina is one of the priority infrastructure projects, project that was a result of the agreement of the interested countries at the conference of the European Transport Ministers held in Ljubljana in 2004. Considering the regional importance of this 1100 km corridor, that will have a significant impact on the economic development of Bosnia and Herzegovina, connecting it to Western Europe and Asia, the relevant authorities in Bosnia and Herzegovina are continually participating in all the planned activities in the context of the Adriatic – Ionian Initiative. The focus of Francesco Ferrero’s presentation, from European Investment Bank, was on the role of the EIB in supporting projects of regional interest, with a particular focus on transport as well as digitalisation in the Adriatic region, including reference to some practical example of EIB financing. Then it was the turn of Peter Lőrincze, Secretary General, Danube Chamber of Commerce Association. DCCA has the aim to promote trade and investment between membres but also non-traditional partners. Based upon business interests to utilize EU-funds within the framework of cross-border and transnational cooperation. supply of members with information concerning events,trade promotion activities,investment programmes etc. of mutual interest with the aim of facilitating mutually advantageous participation. This year a DCCA website is still functioning informing the business world on what is going on in DCCA and its members. Exchange of “best practices”-this year our general assembly in Novi Sad will discuss what successes-experiences we can share with each other. Nikola Dobroslavić, President of the Adriatic Ionian Euroregion, one of the members and initiators of AI-NURECC, was also present. Mr. Dobroslavić, head of the Croatian delegation at the European Committee of the Regions, talked about transport connections as a prerequisite for the overall development of this macro-space through the continuation of the planned TNT corridors, the technological improvement of the railway on the Italian coast and the continuation of the construction of the Adriatic Ionian highway as well as the improvement of overseas water and air traffic. Finally, Laurent Frideres, head of Unit for Evidence and Outreach, spoke of the relevance of ESPON Programme, that is currently developing an European and macro-regional territorial monitoring system. “The objective is to develop a tool to monitor development trends and patterns in Europe, and also specifically in the Adriatic and Ionian region. It will support policy makers and other stakeholders with territorial information, data, maps, graphs, analytical features and short reports”. The relator shared some insights from recent ESPON research, providing context for trends in the region, including some work that they have done on digitalization. After the plenary session, dedicated to the development routes of the Adriatic Ionian macro-region, the meeting on the mobility of people, goods and data, the presentation of AI-NURECC, by Stavros Kalognomos, Policy Officer of the Conference of the Peripheral Maritime Region, took place. After presenting briefly the CPMR, the Pan-European lobby made of more than 160 Regions in 25 countries, the Policy Officer took stock of the past and next AI-NURECC partners’events. The target of these events, such as the Seminar on the Europroject Design Training that will take place in Tirana on 20-21 November, is made not only of politicians and officers: also young people is strongly encouraged to take part in it. “Without the involvment of of the young people no plan can be sustainable”. Mr. Kalognomos presented also next Forum AIC’s event which will be held, always in Tirana, on 21 November: a workshop on Creative and cultural industries with the aim to promote the Adriatic Start-up School and its potential for future young entrepreneurs in the area. Students, whose scholarships will be financed thanks to AI-NURECC, will be invited to participate and present their business idea/experience. As said, large participations were also recorded at the Thematic Workgroups, held in the afternoon of 17th: Blue Growth, Connecting the Region, Environmental Quality/Agriculture, and Sustainable Tourism were the main themes, in line with the EUSAIR pillars, in addition with those on Women’s Entrepreneurship (to which will be dedicated a special plenary, in 2019), Social Challenges and Economic Analysis, consistent with the transversal priorities of the Strategy. A specific meeting focused on the Economic Analysis of the territories of the basin and on the highlighting of the potential of their diversity. A great attention has been paid to the presentation of the E-Capital culture project, the international adriatics school for start-uppers of creative and cultural enterprises, that will be based at the Mole Vanvitelliana of Ancona. The project, started in 2015, receives funding from AI-NURECC. There was also a talk on Unesco creative cities – Fabriano will host the world meeting next year – of the candidacy of Mostar as the capital of culture, of the archaeological site Spalatino, heritage of humanity, and of possible links to the Fano dei Cesari. At the Sustainable Tourism Workgroup there was also a reflection on the need to support the development of the sector and contain potential negative effects on cruise traffic. The Blue Growth Workgroup focused also on how to help administratively the work of young researchers and the issue of climate changes. Attention has also been paid to the role of the fisherman and the fishing cluster according to the Marche and Doric model that studies the different aspects of a trade that does not end with catching the fish but also includes the sale of the product and participation in territorial policies on the topic. The Environmental Quality and Agriculture Workgroup, focused on the strategic lines of Europe 2020 and the concept of circular economy, highlighted the need for joint training on these regulations involving Universities and Chambers of Commerce. In particular, work is being done looking at the development of rural areas thanks to smart technologies also applied to the issue of waste disposal.